If you'd like to link up with us, grab the button above and share either an organizational idea or an organizational find. You can join the party on Kristen's blog or mine...it's all the same party! Last weekend, I enjoyed yet another trip to Ikea. I know, I know enough already with the Ikea. Do you have any tips for this last link up? We'd love to hear your tips! I hope hot gluing the magnets work, because I would love to do the same thing! 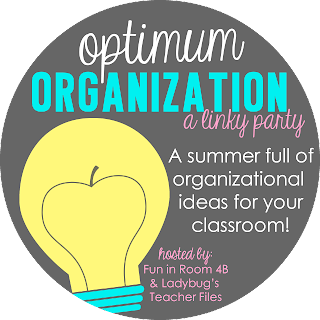 Thank you for sharing and hosting this linky party. I have enjoyed reading all of the great ideas! I LOVE IKEA! 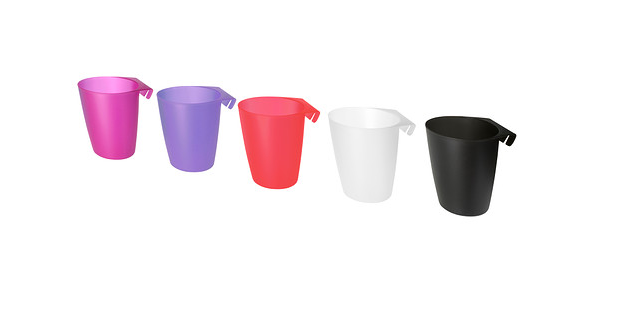 I bet those buckets will come in very handy. Thanks for hosting this Linky party all summer. I can't believe I waited until the last week to join up. Those buckets would be perfect for math manipulatives in my room...hmm going to have to check those out!! :) Thanks for sharing-they are so cute! !